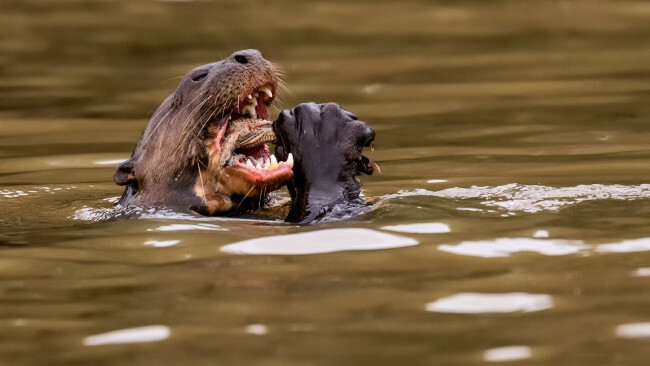 The first giant river otters (Pteronura brasiliensis) have arrived to the Argentine province of Corrientes. The event is considered a vital part of an ambitious rewilding project pioneered by CLT Argentina (Conservation Land Trust), the foundation created by Tompkins Conservation, in conjunction with the province of Corrientes, and the collaboration of diverse national entities. The arrival of Lobo, a four-year-old male from the Parken Zoo of Eskilstuna, Sweden, and Alondra, an eight-year-old female from the Budapest Zoo in Hungary, hails the return of the top aquatic predator to the Iberá wetlands. Along with illegal hunting and coastal development, the construction of large-scale dams contributed to the species’ extinction in the middle of the 20th century. 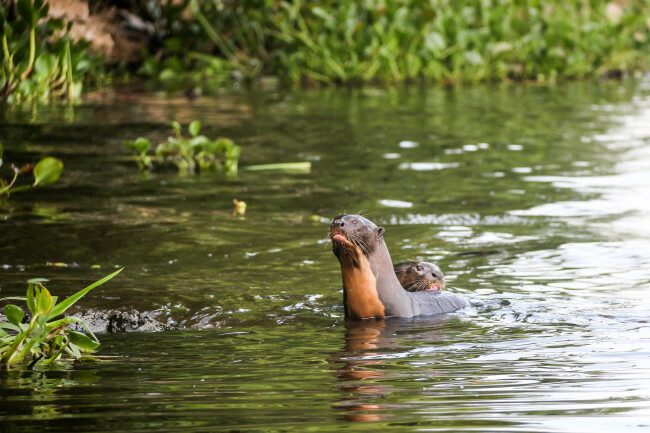 In areas where the animal is currently found, including Brazil’s Pantanal and the Amazon region, the animal has become a key attraction for wildlife watching and conservation-based tourism.